Address: 2365 Inárcs, Pf. : 18. Every seasons have their own beauty. 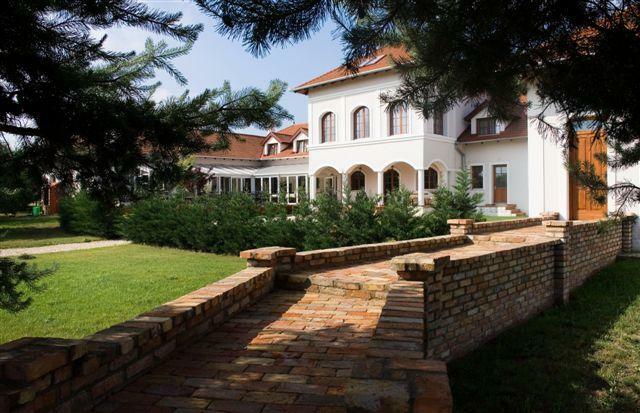 It can be felt, if you’re visiting a place like Bodrogi Mansion Wellness Hotel**** at a forest near Inárcs. The hotel is a perfect choice for relax, vacation and recreation. There is a wellness, outside pool, tennis field, voleyball field and a fishing lake in the park. Relaxation, family atmosphere at an exclusive Hotel near Budapest. You can find this elegant Hotel only 34 kilometers from the capital city in Inarcs village. The Bodrogi Mansion Wellness Hotel**** has 44 rooms, whiches are full equipped and supply every personal needs. The rooms has cable TV, minibar, hairdrier, bathrobe, telephone and air conditioning. The furniture is solid and modern, suiting with the Mansion’s character. In harmony with body, soul and nature. We welcome you to the Bodrogi Kúria Wellness Hotel**** and wish you enjoyable treatments. Let us to pamper you! Let yourself to relax! Our restaurant which can be found in the delightful winter gardens provide an opportunity for nearly 100 person onto the strain of half - or full board supply. Our chef ensures of the special flavours from the international and hungarian cousines too. You can have rich vareity of breakfast and dinner-which include the room price- here as well. On our terrace , which is open from spring till autumn , there is an opportunity to arrange grill parties. At the Bodrogi Mansion Wellness Hotel**** there is the opportunity to organize conferences and trainings. The 4 full equipped conference rooms are ideal places for conferences or little company trainings up to 100 people. In the 34 acres park you can have some outdoor activities too paintball, horse riding, quad and so on. The hotel’s staff can help to set up, organize events from the beginnig.